Bellefonte, PA- not subject to Judge John Cleland’s order, which is likely a violation of our First Ammendment Rights Under the US Constitution, www.blinkoncrime.com has confirmed the jury has reached unanimous verdicts in this case, which are being read in open court, and so far, they are guilty. check back to www.blinkoncrime.com for updated verdict information. Bellefonte, PA- In a sua sponte order dated today, Judge Cleland dismissed two counts with prejudice after waiting for both the prosecution and defense counsel to bring it up on their own. The issue was relative to victim #4 not testifying that an actual penetration occurred and therefore would not be supported by the victims testimony. 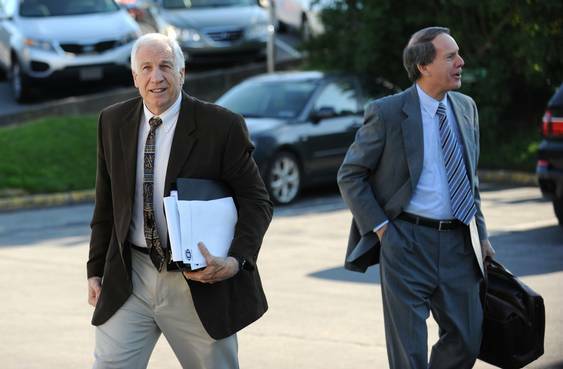 Sandusky is now facing 48 counts instead of the 52 he started with. Judge Cleland would have been required, had the jury found Sandusky guilty on those counts to set aside that particular verdict and made the decision the jury should not have to deliberate on the two counts knowing that regardless, he would be required to vacate them. Sources inside the courtroom have confirmed the jury has received the deliberation instructions and is now deliberating the charges against Gerald Arthur Sandusky. 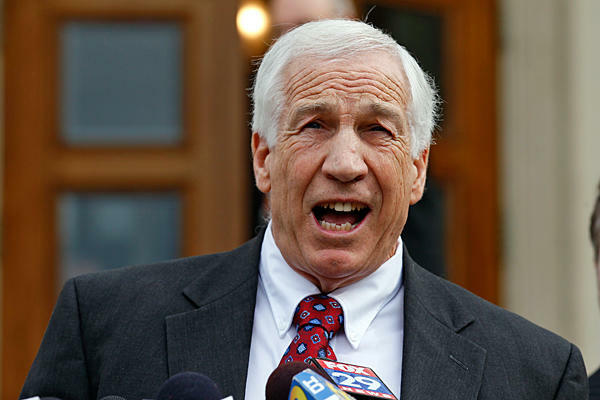 In what could be considered a stunning development, Matthew Sandusky, the last child adopted by Jerry and Dottie Sandusky, was set to be called as a witness for the prosecution if Jerry Sandusky were to take the stand in his own defense. Matthew Sandusky, recently married and expecting his third child, contacted prosecutors once testimony began in the trial, although it has not been released what the content of Mr. Sandusky’s testimony was going to include. Victim #4 testified that Matt was in the area when they began showering, then appeared nervous and left, prior to when the alleged assault occurred . Matt Sandusky was expected to be a rebuttal witness. Also today, Judge Cleland warned the press their would be sanctions should anyone or any news outlet report the verdict prior to the court’s adjournment. He ordered that the verdicts be read in full, and not gestures or alerts be received to any outside source . Publications of the verdict and the courts timestamp would be reviewed, he warned. Should be a quick one folks, check back to www.blinkoncrime.com for updates.